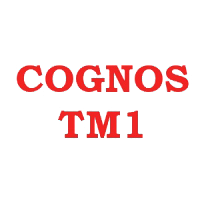 1.What are the basic features of Cognos TM1? 2.How do you use TM1 cubes in Framework Manager? TM1 v10.1 has the interoperability function configured to allow packages to be published from TM1. 3.How many types of viewers available in TM1? There are 3 types of viewers in TM1. 4.How to run Turbo Integrator Process from Command Line? To initiate the TI process TM1RunTI is a command line interface tool. Series of statements that manipulates values for each record in data source. TM1 package connector helps to import data from packages/dimensions and custom queries. Series of statements that is to be executed after the data source is processed. 8. Name the function which is used to serialize the TI process? Synchronized () function can is used to serialize TI process so they can be processed sequentially. 9.What are the functions required to be called for enabling or disabling the bulk load of mode? 10.What is the limit of string length in Turbo Integrator? The limit of string length in Turbo Integrator is 8000 single byte character. If the length will become more 8000 bytes then it gets truncated. 11.What are the flaws of Chore Start Time? TM1 executes chores in GMT standards. It doesn’t have any auto mechanism to accommodate DayLight Saving. Its Chores Scheduled time should be edited when DayLight time begins and ends. 12.Name the different procedures within TI? 13.Name the window by which you can create your own custom scripts? 14.How you can enable Bulk Load Mode in TI? In Prolog or Epilog section of TI, Bulk Load mode can be enabled. It always recommended that Bulk Load Mode should be enabled in Prolog section. 16.What is the meaning of Ending Bulk Load mode? All the system and User threads will be resumed and user logins will also be allowed. 17.How we can generate cubes in Cognos? Power Play Transformer contains dimension, measure, model and cube. There are different ways to generate a cube. Just right click on cube name and build. We can write script in UNIX. Using that we can easily generate the cube. 19.What is Chore Commit property? In a single commit mode all processes are committed as a single transaction. It is default by nature. In multiple commit modes any processes that need to be committed do so as they are processed. It is possible to change chore property only when chore is INACTIVE. Snapshot is nothing it’s only a copy of data, whenever we create any snapshot it only copy the exact data that is related to the particular report. It is used to compare reports. For ex: we want to compare the report of this month with previous month. 21.Differentiate between view and materialized view? M views loading or replicated takes place only once which gives you better query performance. It enables TM1 to run in a special optimized Single-user mode. This mode has a capacity to maximize the performance for dedicated tasks during the time when there is no load on server or at night time. It doesn’t display a message to end-user to alert them. No new connections can be created. 23.What actually happens when Bulk Load mode starts? 25.What is the difference between list and crosstab? List report show the data in row and column(detail information of report). Crosstab report show the data in grids, dimensions in row and column and measures in cells or in intersection point. Crosstab can’t be converted to list. There is no direct option available in Report Studio to convert the cross tab to list. Procedure is executed before the data source for the TI is opened. TI directly goes to Epilog if the data source for the process is none and if there is no data source then Metadata and data tabs are ignored. 29.What is the cube size? 2.0 GB. It depends as per your project requirements. 30.What kind of system requirement is needed to run TM1 for a small installation? 31.How many users can open or connect to one of the TM1 web application concurrently? Using the distributed approach of TM1 10 they have done testing in thousands of users. It creates a placeholder on the cells so that the cells will not be skipped during the consolidation. 33.What is the way of writing a FEEDER Statement when feeding one cube from another? Calculation statement always resides in the target cube, but the FEEDER statement should reside in the source cube. The Feeder is basically the inverse of the calculation statement in the Target Cube that requires the feeder. 34. What are the steps to troubleshoot the FEEDERS? Use Rules Tracer will be used to assist in the development and debugging of rules. 35.How does Rules Tracer help us? It traces FEEDERS; it ensures that selected leaf cells are feeding rules-calculated cells properly or not. It checks FEEDERS, ensures that the children of selected consolidated cells are fed properly or not. Check Feeders options is available from consolidated cells and it’s not available from leaf node. 36.Define the logic behind the Sparsity in cubes? The more dimensions a cube has, the greater will be the degree of sparsity. Under Feeding means failing to the feed cells that contain rules-derived values. This always results in incorrect values and must be avoided at all costs. 39.What is the role of SKIPCHECK in TM1? SKIPCHECK forces TM1 to use the Sparse Consolidation algorithm in all the cases. 40.What is the role of transformer? It is used for building the Cubes (Multidimensional Structure used for OLAP processing). 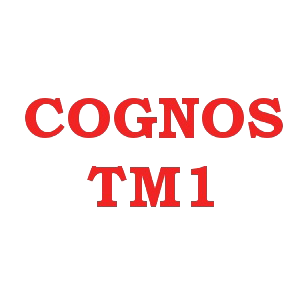 0 on: "Latest Cognos TM1 Interview Questions And Answers."